Personal injury law can be complicated, as there are many different factors involved in each individual’s case. Finding the right personal injury attorney in St. Petersburg to represent you is crucial to ensuring you earn the maximum compensation for your suffering. At Jenkins Law P.L., we will provide exceptional legal representation for your situation. If you have been injured due to someone else’s negligence, it is essential to understand what a personal injury attorney can do for you. Though you are not legally required to have a lawyer handle your claim, your chances for winning and receiving the compensation you deserve increase exponentially when you have someone on your side. Depending on the circumstances of your injury, you may need to put together evidence, find witnesses, and ensure all of the necessary documents are in order. A personal injury attorney in St. Petersburg will help you accomplish all of this without the stress. 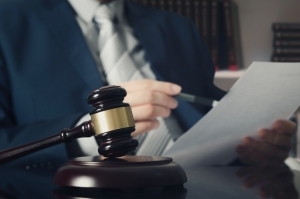 An insurance company will be working to minimize the amount of compensation you receive, but with an experienced lawyer, you can obtain the maximum amount possible. Do not get bogged down with organizing the details of your claim. Allow a personal injury attorney to handle the details for you so you can focus on what is most important, recuperating. Contact Jenkins Law P.L. today to schedule a consultation with one of our experienced attorneys.